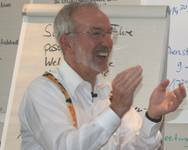 Spend 1-1/2 hours with Michael as he entertainingly applies his cat and dog analogy to a wide array of applications. 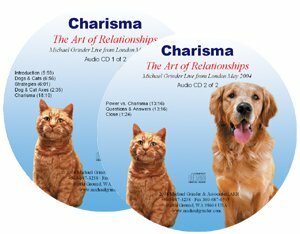 Rich in practical, immediately useful skills, Charisma-The Art of Relationships uses your intuitive knowledge of pets to help you easily develop relationships with anyone you meet. Topics include understanding how to manage difficult personalities, increasing the efficiency of committee meetings, developing presentation skills and raising teenagers. Michael's engaging styles, humorous anecdotes and poignant insights will have you both laughing and reflecting at the same time.